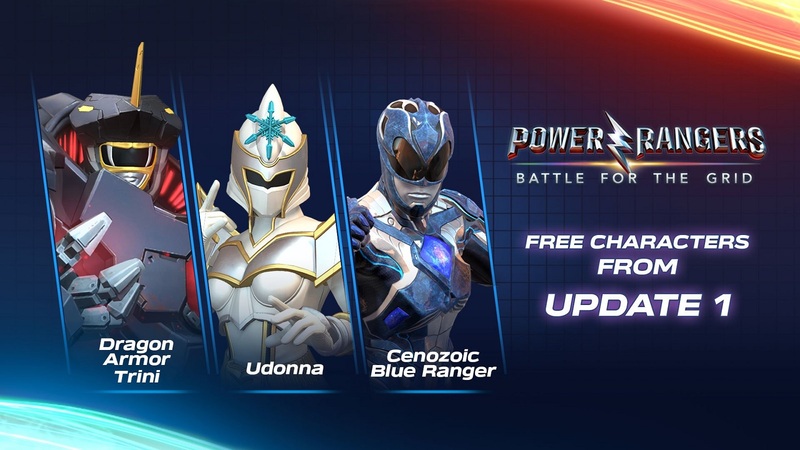 To coincide with the PlayStation 4 release of crossover fighting game Power Rangers: Battle for the Grid, nWay has announced that it will release three new characters from a host of different Power Rangers media for free with its first update to the game. These characters will be separate from the announced season pass, which will include three characters and exclusive skins for $14.99. The three new representatives are Dragon Armor Trini from the Mighty Morphin’ Power Rangers Boom! Studios comic series, Udonna from Power Rangers: Mystic Force, and the Cenozoic Blue Power Ranger from the 2017 Power Rangers film. While the release date for update 1 is still unknown, it’s great to see that there will be additional characters coming out for the game. Check back for our review of Power Rangers: Battle for the Grid soon, and stay tuned for more news here on Gaming Trend.